Hose Hero the world&apos;s toughest gardening hose. 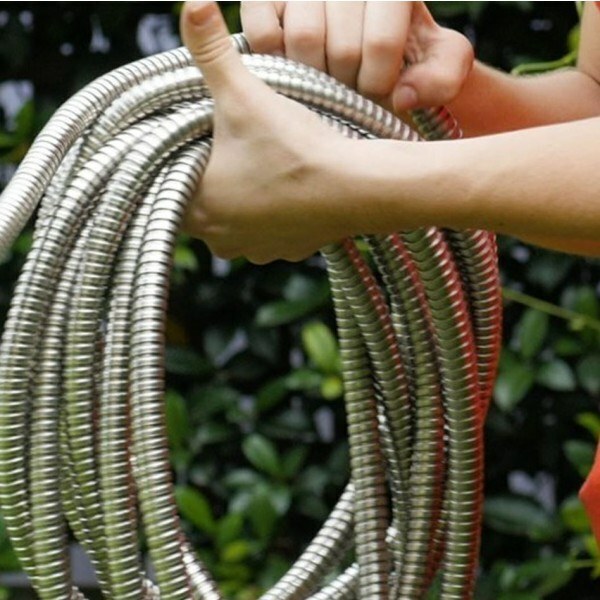 Made from ultra-durable SmartSteel, Hose Hero will never burst, kink, or tangle. The secret is in Hose Hero&apos;s heavy-duty construction. A flexible rubber hose on the inside, with a strong SmartSteel outer shell to protect it. It&apos;s virtually indestructible! Puncture resistant. UV and weather resistant. The super flexible linked construction makes winding hose easy for storing. As seen on TV Hose Hero is not a cheap disposable hose that will only last one season. Hose Hero is a tough tool that can easily handle any watering job. 25&apos; hose. Love this hose, so easy to manage. The weight and manageability is superb. My only issue is not having enough power when hosing anything down and watering takes much longer.